Courtesy of Michelle Macy, Go The Distance from Circle of Health International. In times of social upheaval, turmoil and war, life can get downright dangerous and horrific for women. Michelle Macy, one of the few people in the world to complete the Oceans Seven, wants to do something to help. 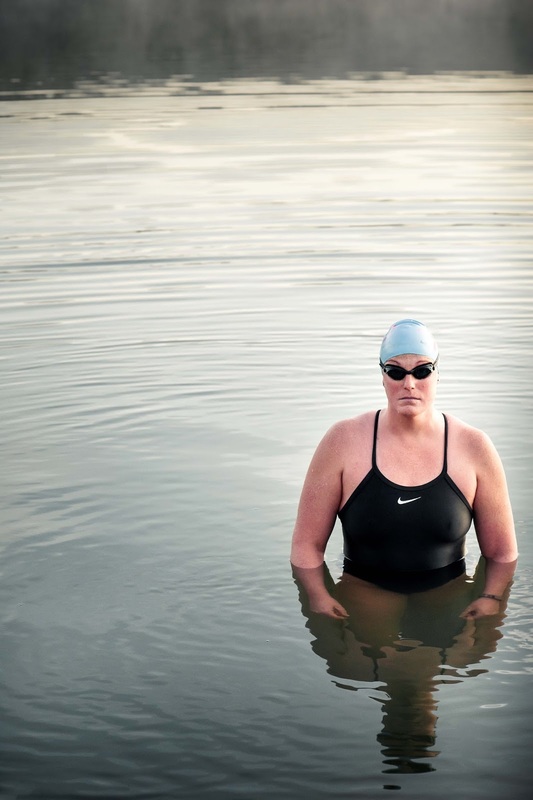 She is using her swimming prowess to raise money and awareness. 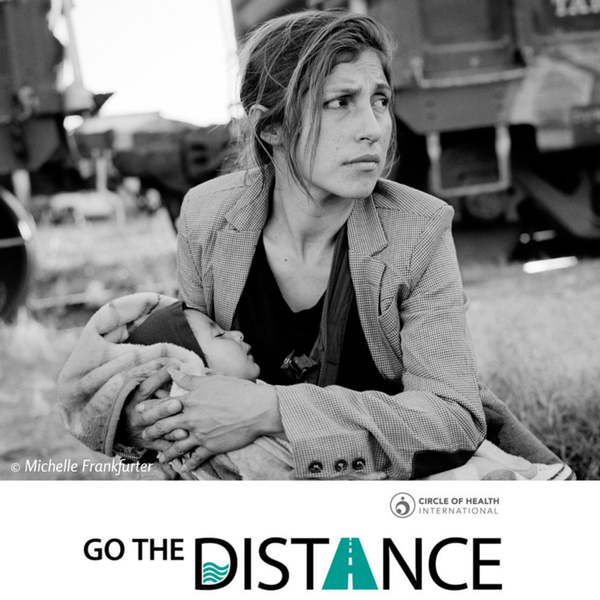 "Our focus with the Go the Distance Campaign by Circle of Health International is to raise money and awareness to the unique plight that women and girls face during a crisis situation while fleeing to safety. Starting March 8th on International Women's Day, people can join us and emulate a refugee woman's journey to safety by walking, running, biking or swimming the most difficult section of her route. For US$50 - or the equivalent of a marathon entry fee - this helps Circle of Health International provide a two-weeks' worth of essential medicines and food for a refugee woman." But instead of merely sending money via an online payment system, Circle of Health International wants to make the campaign more real, more touching. Participants can fundraise and donate to the teams listed below. Each of these teams represent an actual woman and her story as they traveled to safety. Each story represents a different distance for the participant to travel. While the story recommends a mode of travel, the campaign enables any participant to travel the distance in the method that means the most to them. Macy will swim on behalf of Azzah, an effort that aligns her journey with the Turkey-to-Greece swim. Sera Bonds, the CEO of Circle of Health International, is a swimmer so she incorporated swimming into the campaign. This is especially poignant given the challenges that are occurring in the Strait of Gibraltar and Bosporus Strait. Bonds herself is planning to culminate the campaign on May 8th, Mother's Day, with a swim from Turkey to Greece. Bonds' campaign and mindset really touched Macy. "This campaign really resonated with me. I was struggling with the dichotomy of marathon swimmers crossing these bodies of water for pleasure, but for others, these bodies represent one of the toughest parts of their travel to safety and so many have perished en route. Additionally, students from my college are using time during their study in Greece and Italy to spend weekends working at the camps where refugees land after being at sea. I was also on the Greece-Italy program; these places that hold such dear memories for me." Inspired and motivated, Macy reached out to Circle of Health International to offer her support. "I hope my small pull within the marathon swimming community can help get others involved in the swimming campaign. Sera had hit a roadblock in getting support to swim the Bosporus Strait so I put her in contact with the organizers of the official swim as well as Simon Murie for what I hope will be help finalizing her goal of ending the campaign with a Bosporus crossing." Macy is also planning a crossing from Turkey to Greece on May 8th. "Plus it would allow me to donate my time at the refugee camps and bring more media attention to the plight and needs of the women and girls, including crossing those bodies of water and the challenge women and children face in their flee to safety. I wanted to do something." Bonds describes the situation. "As of June 2015, there are upwards of 30 million refugee women and girls across the globe and that number continues to grow. During humanitarian crises and natural disasters, women and girls are uniquely vulnerable to sexual and gender-based violence and human trafficking, and have limited access to basic resources, shelter and quality healthcare due to prevailing cultural gender roles. Since 2004, Circle of Health International has been able to respond to 18 humanitarian emergencies and served over 3 million women in post-tsunami Sri Lanka, post-hurricane Louisiana, Tibet, Tanzania, Gaza, the West Bank, Jordan, Syria, tornado-affected Oklahoma, Sudan, the Philippines, Haiti and Afghanistan with continuous work for mothers and their babies in Haiti, Nicaragua, the Middle East, Europe and along the U.S. and Mexico border." For more information on Go The Distance, visit Circle of Health International. Upper photo by Michelle Frankfurter. Lower photo of Michelle Macy by Aubrie LeGualt.